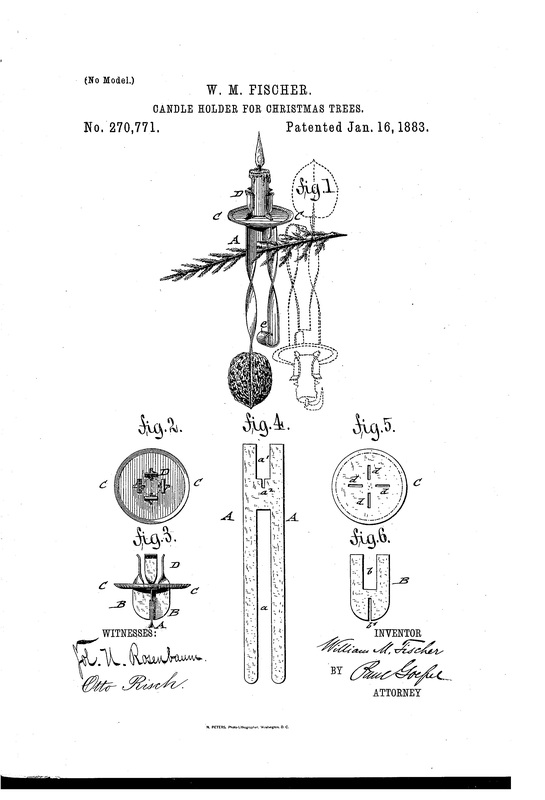 This patent features a counterbalanced hanging pendulum Christmas tree candle holder with a walnut weight. From our collection of Christmas Tree Candle Holder Patents. Credit: www.christmasgiftsfromgermany.com.